There are currently no upcoming soccer listings scheduled on Sat.1. Are we missing any soccer listings for Sat.1? If so, please let us know. Sat.1 is a German entertainment channel targeting a German demographic group between 25-49. The channel is owned by ProSiebenSat.1 Media AG. 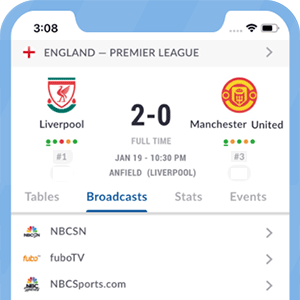 The channel typically shows Live football matches pertaining to the German National Football team as well as International club competitions like the UEFA Champions League.